Bearded women are typically more freaky than scary—yet when it comes to American Horror Story, nothing is as it seems. With the introduction of Ethel Darling this season, played by Kathy Bates, bearded women have entered the pantheon of creepy, alongside the show's many other spooks and scary faces. Though so far it's unclear just how terrifying of a character Ethel will become as Freak Show progresses, with the series' history, we can be certain no character will go without a scare factor. To recreate Ethel's distinct look this Halloween, you'll first need to focus on the facial hair. 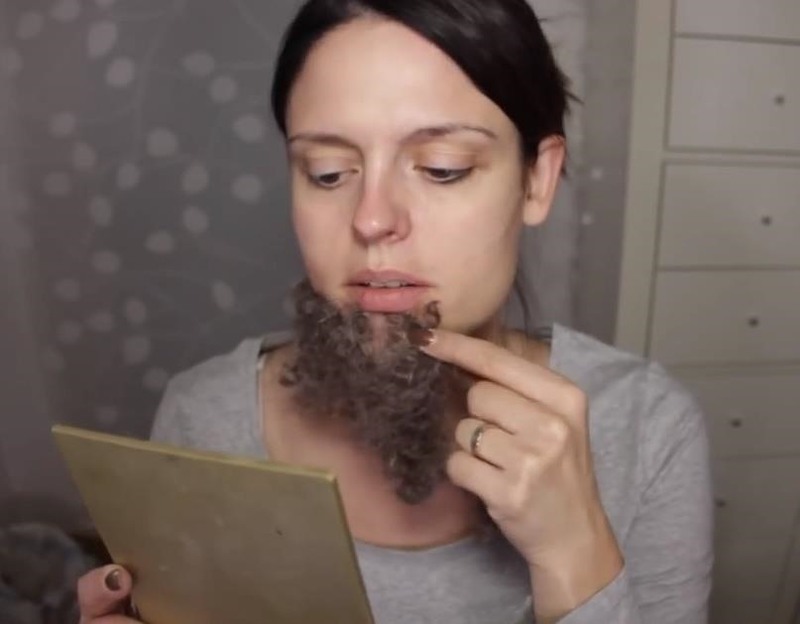 Rather than wasting money on an itchy, pricey store-bought beard, you can DIY your own with the help of SmashinBeauty's easy-to-follow makeup tutorial. Growing a beard is as easy as sticking on bunches of fluffy, natural-looking synthetic hair. Once your beard is good to go, all that's left is creating a dramatic eye. Whether you want to mimic SmashinBeauty's tear-stained look, or get creative on your own, there's no wrong way to make your costume dramatic. That's all it takes! No matter how you choose to express Ethel's mid-century style in clothing choice, your easy, DIY beard will make your costume stand out anywhere. For other fun Freak Show costume ideas for Halloween, check out our Twisty the Clown and Blind Fortune Teller guides.